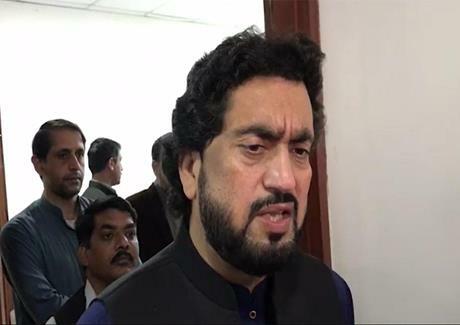 Minister of State for Interior Shehryar Afridi says the government is showing utmost restraint to resolve prevailing law and order situation, in some pockets of various cities, amicably. Talking to media persons outside parliament house in Islamabad today, he said federal government's negotiating team and Chief Minister Punjab are in touch with the leadership of agitators and we hope there will soon be a positive progress. To a question, Minister of State said the government does not want to exercise option of using force but he made it clear that writ of the state will be maintained at all costs. He said the Supreme Court has given a verdict in Aasiya Bibi blasphemy case after thorough examination and nobody should question judgment of top court of the state. Shehryar Afridi said if the court has found no substantial matter of blasphemy in the case, then all the Muslims should feel relaxed instead of causing any provocation on this highly sensitive issue. He said being Muslims we all are the followers of our holy Prophet Muhammad (Peace Be Upon Him) and are always forthcoming to maintain the honor and sanctity of the last Prophet what come may.